It was a characteristically busy year in the Asia-Pacific, with North Korea’s failed satellite launch (and another attempt imminent as JDW closed for press), China’s commissioning of its first aircraft carrier and unveiling of a new stealthy fighter, territorial spats in the South and East China seas, and insider attacks in Afghanistan. Every year one phrase comes to sum up NATO’s Afghanistan campaign for the previous 12 months. In 2012, the 11th year of the conflict, that phrase was ‘green-on-blue’. Attacks on NATO troops by disgruntled Afghan National Security Forces (ANSF) personnel – or insurgents masquerading as ANSF soldiers – were responsible for more than 50 deaths in 2012: an escalation in casualties that undermined NATO’s plans to use its troops to mentor the fledgling Afghan National Army and directly led to the early withdrawal of all French troops following the deaths of 4 soldiers and injuries to 15 others in Kapisa province on 20 January. NATO and its International Security Assistance Force (ISAF) responded first by suspending training, and then implementing a mixture of soft and hard solutions: cultural sensitivity training to avoid more Koran burnings, better intelligence and biometric checks on recruits, and a ‘guardian angel’ system, under which one or more ISAF soldiers act as armed bodyguards when working with ANSF troops. Questions also remain about how viable the new Afghan army is. A report by the US Special Inspector General for Afghanistan Reconstruction published on 30 October found that “the Afghan government will likely be incapable of fully sustaining ANSF facilities after the transition in 2014 and the expected decrease in US and coalition support”. On the plus side for ISAF, the transition is ongoing. President Obama’s 30,000-strong ‘surge’ force was withdrawn from Afghanistan in 2012 and by the end of September 75% of the Afghan population was living in cities, provinces, and districts that are under local security control. Pakistan also agreed in July to reopen ISAF’s land supply route from Karachi, which was cut off in November 2011 after the killing of 26 Pakistan Army soldiers in a US helicopter attack on the Afghan-Pakistani border. This relieved pressure on ISAF supply lines, which will be used as much for withdrawal as for supplies ahead of the December 2014 deadline to end combat operations by foreign troops. Unsurprisingly, policymakers face major difficulties in the coming two years. Endemic corruption has discredited President Hamid Karzai’s government inside Afghanistan and declining public support in NATO member states for the war has dissipated what political will there was to effect a lasting change in the country. The United States is looking to restart negotiations with the Taliban via Qatar, but the insurgents may believe they have time, and history, on their side. Any agreement involving the Taliban will need at least the acquiescence of Pakistan, which remains a major player in Afghanistan’s future, although in 2012 Islamabad spent more energy dealing with the Pakistani Taliban and addressing its own problems in North Waziristan. The Pakistan Army adopted a ‘will they/won’t they’ approach to a military offensive in the Afghan border region, perhaps mindful that this was one extra card to use against the United States, which wants Pakistan to act to limit attacks over the border into Afghanistan. As the reopening of the Karachi land route illustrated, Pakistan’s ties with Washington stabilised in 2012, although anything would have been an improvement on 2011’s Osama bin Laden-related nadir. Speaking in August, ISAF commander General John Allen said the United States wanted ties with Pakistan that were “enduring, strategic, carefully defined, and that enhance the security and prosperity of the region” – hardly the most rousing description of a bilateral relationship, but probably the more realistic for it. On the procurement side Pakistan received its final Block 52 F-16 fighters from the United States, as well as two ex-US Navy P-3C Orion maritime patrol aircraft (MPAs) to replace the pair destroyed by the Taliban in 2011. Pakistan’s indigenous industry is also doing well; officials are confident of finding overseas buyers for the JF-17 Thunder co-developed with China, while the Pakistan Air Force recently unveiled a very-high-speed, long-range air-launched missile called the CM-400AKG that officials described as an “aircraft carrier killer”. Like the JF-17, the CM-400AKG has been developed with China, which also had a major role in Pakistan’s unmanned aircraft and land systems programmes. Warm ties between the two countries are expected to continue, given the strategic imperatives for both caused by India’s military developments and New Delhi’s ongoing rapprochement with Washington. India’s status as the world’s largest arms bazaar may be under threat from a slowing economy, but 2012 was another good year for foreign defence firms in the subcontinent. Dassault had the most to cheer about in January when the Rafale was chosen ahead of the Eurofighter Typhoon in the contest to supply the Indian Air Force (IAF) with 126 Medium Multi-Role Combat Aircraft (MMRCA). However, a 10% defence budget cut announced in late November could push this beyond the hoped-for March 2013 deadline. The IAF’s shopping spree wasn’t done with MMRCA; it also bought 75 PC-7 Mk II tandem-seat turboprop trainers from Swiss firm Pilatus despite complaints by rival Korea Aerospace Industries (KAI) of a flawed selection procedure, while in August the first of three Embraer EMB-145I airborne early warning and control (AEW&C) aircraft were delivered to the Defence Research and Development Organisation (DRDO) for installation of indigenous systems. Despite missing out on the MMRCA deal, the United States is establishing a major presence in India, with Boeing in particular enjoying a strong year. Its production of P-8I Poseidon MPAs is ongoing, while in 2012 New Delhi also chose to buy 22 of the company’s AH-64D Apache Longbow attack helicopters over Russia’s Mil Mi-28N ‘Havoc’, and 15 Boeing CH-47F Chinook heavy-lift helicopters over Russia’s Mil Mi-26. Russia, which has long been India’s prime provider of war materiel, was not completely left out in the cold: India received its first batch of new Mil Mi-17V5 multirole helicopters and agreed to joint development of the PAK-FA T-50 fifth-generation fighter aircraft with Sukhoi, with the first prototype expected in 2014. It also agreed in October to co-develop a Multirole Transport Aircraft (MTA) in a joint venture between Hindustan Aeronautics Limited (HAL) and Russia’s United Aircraft Corporation (UAC). At sea, India received two Talwar-class frigates and in January finally commissioned the Akula-class (Project 971) nuclear-powered attack submarine (SSN) INS Chakra . The commissioning made India the sixth country after China, France, Russia, the UK and the United States to operate an SSN, but the delays and problems surrounding the programme were symptomatic of Delhi’s ongoing struggles with defence project management. A further example was the much-delayed ex-Russian aircraft carrier Vikramaditya (ex- Admiral Gorshkov ), the delivery of which was pushed right into 2013 when boiler problems curtailed its sea trials. As well as heightening tensions with the government of Russian President Vladimir Putin, the delay also forces the Indian Navy to rely on INS Viraat (formerly HMS Hermes ): a 53-year-old, 23,900-tonne Centaur-class carrier. On land things were equally mixed. India signed off on a INR12 billion (USD222 million) deal to buy 10,000 9K113M Konkurs-M (‘Spandrel B’) anti-tank guided missiles from Russia and also made progress on securing a Foreign Military Sale from the United States of 145 BAE Systems M777 towed 155 mm/39-calibre lightweight howitzers. However, in other respects India is struggling to field an artillery capability commensurate with its potential needs. One solution was announced in October: a plan to licence-build Bofors FH-77B 155 mm/45-calibre howitzers based on blueprints received in 1987. Sri Lanka and Bangladesh both committed to continued investment in defence. The Sri Lankan military budget for 2012 of USD2.1 billion was nearly 7% higher than the 2011 budget of USD1.7 billion and is justified in terms of refurbishment and upgrades to existing bases and the creation of new cantonments and headquarters, along with repayments for materiel purchased during the war against the Tamil Tiger rebels. Bangladesh’s government also proposed a Fiscal Year 2012-13 (FY12-13) defence budget increase of 7% and on the procurement front in May requested permission from the United States to acquire four ex-US Lockheed Martin C-130E Hercules transports. Bangladesh is also expected to acquire Chinese-built F-7BGI combat aircraft as part of an ambitious longer-term drive to modernise and expand its fighter fleet. Similar plans to expand the capabilities of the Bangladesh Navy (BN) encompass potential acquisitions of submarines, additional frigates and MPAs, with China again a major supplier. In August Wuchang Shipyard launched the first of two large patrol craft on order for the BN, while in October the first of five new 50.4 m-long patrol craft was launched at Khulna Shipyard (KSY). The vessels are being built under a May 2010 technology transfer agreement with China Shipbuilding & Offshore International Corporation, which is providing the design and material packages. BN procurement plans received a boost in March when a ruling by the International Tribunal for the Law of the Sea (ITLOS) clarified the maritime boundary between Bangladesh and Myanmar, opening up the opportunity to license offshore blocks in the Bay of Bengal and establishing a new mission for the navy: offshore maritime patrol. It has been another eventful year for China, which commissioned its first aircraft carrier, unveiled another fifth-generation fighter but also found itself embroiled in a series of territorial spats that complicated its once-in-a-decade leadership transition. Relations with Taiwan remained stable, thanks in no small part to the re-election of Taiwanese President Ma Ying-jeou in January and the reluctance of the Obama administration to move forward with any more arms sales to the island. Less welcome in Beijing was the much-heralded US rebalance to the Pacific, which Obama announced at the Pentagon in January. While a restatement of existing policy rather than a dramatic shift, it was nonetheless welcomed by Washington’s Asian allies and condemned by China as an attempt at ‘encirclement’. Professor Steve Tsang of the China Policy Institute at Nottingham University in the UK said that China had facilitated the US realignment by sending mixed messages to its neighbours about its strategic intentions – particularly with regard to the South China Sea territorial dispute. “We are talking about a US that is shrinking its military and trying to manage its global obligations. It is not a country that at this stage of its development is particularly inclined to an aggressive external posture, and yet the US is reasserting itself in the South China Sea in places that had not been particularly friendly to the US in the past 20-30 years,” Tsang told IHS Jane’s . “At the formal policy level the Chinese remain committed to rising peacefully, as they did five years ago. There is no change in policy, but in terms of how that policy is being implemented they are being too clever by half,” Tsang said. “You [won’t] actually find the government saying the South China Sea is sovereign Chinese territory. They never say that officially, but they have allowed people who are part of the establishment to say those things – for example, major generals teaching in research institutes and think-tanks,” he added. Altercations with the Philippines in the Spratly Islands in April added to the impression of bellicosity, while the Senkaku/Diaoyutai island dispute with Japan – and Beijing’s implicit approval of ensuing anti-Japanese protests across China – did little to promote its image as a responsible member of the global community. Nonetheless, China enjoyed a number of major defence-related successes in 2012. In September it commissioned Liaoning , its first aircraft carrier, and in November conducted the first arrested landings and take-offs at sea using its Su-33-derived Shenyang J-15 fighter aircraft. It also unveiled a second fifth-generation fighter prototype in the form of the Shenyang J-31 Falcon Eagle: an ‘F-35-sized F-22’ that had its maiden flight on 31 October. November’s Airshow China in Zhuhai depicted a defence industry on the up, with advances across the aviation and land systems sectors that will help China become a major competitor for Western countries in developing markets. One of China’s most complex strategic issues is what to do about North Korea, which remains a vital buffer to US-supported South Korea but presents a host of issues for Beijing. The year started with quiet optimism in Western capitals that a change of leader in Pyongyang might lead to a change in policy, but observers were quickly disabused of this naive notion when Kim Jong-un began preparations for a satellite launch that eventually took place on Friday 13 April. The launch, which was widely seen as a front for Pyongyang’s ballistic missile programme, ended in failure when the rocket splashed down in the West Sea (Yellow Sea) before it could deliver its payload into orbit. The regime broke new ground by admitting the failure in state media, but it was quickly back to business as usual with a military parade that unveiled a possible new long-range missile, carried on what turned out to be a Chinese-supplied transporter-erector-launcher (TEL). As the year drew to a close, preparations for another North Korean satellite launch were under way. A number of defections over the demilitarised zone (DMZ) in 2012 suggested discord in the Korean People’s Army, as did a purge of sorts reportedly carried out against some of the top brass in mid-year. Otherwise, Kim Jong-un is following in his father’s nuclear footsteps. Satellite imagery showed that North Korea had quickly repaired flood damage to its nuclear test site at Punggye-ni, while work on a reactor at Yongbyon is ongoing. North Korea’s April satellite launch attempt had effects beyond North Korea, prompting the United States to deploy a second AN/TPY-2 X-band long-range theatre ballistic missile defence (BMD) radar to Japan and a C-band radar to Australia. Both would give Washington and its allies a much clearer picture of the sky above Northeast Asia: an area that of course includes Chinese satellite and potential ballistic missile launch trajectories. Meanwhile, South Korea has been in an election year and, after four years under conservative hawk Lee Myung-bak, is preoccupied with what kind of North Korea policy a future president will pursue. Impending launches aside, there were no major provocations from the North in 2012, although South Korea itself made a number of important changes to its ballistic and cruise missile programmes, as well as announcing plans to develop high-altitude UAVs. It also had two major procurements in the pipeline: the final tranche of its FX-III combat aircraft contest and a heavy attack helicopter programme. Decisions on both were pushed into 2013 (see below). However, 2012 was mostly quiet in Seoul, although not so much for South Korea’s defence industry. Building on successful deals withIndonesia, KAI secured overseas sales for its T/A-50 lead-in fighter trainer (LIFT)/light attack aircraft in the Philippines and also signed a deal to provide 20 KT-1 turboprop trainers to Peru for USD208.8 million. The contract’s inclusion of significant transfers of technology to Peru is the latest sign that South Korea is moving into the top tier of defence manufacturing nations. Its ongoing deals with Indonesia to provide 16 T-50s and three Chang Bogo-class Type 209/1200 diesel-electric attack submarines, the latter deal being signed in December 2011, are indicative of the same trend. KAI also has high hopes for the T-50’s chances in the US Air Force’s LIFT contest, for which it is pairing with Lockheed Martin. Japan’s year was punctuated by territorial spats with South Korea over the Dokdo/Takeshima islets and with China and Taiwan over the Senkaku/Diaoyutai islands. It also had to deal with the ongoing controversy related to the presence of US forces in Okinawa, where protests were spurred by the arrival of US MV-22 Osprey tiltrotor aircraft and a number of attacks on local residents by US servicemen. Beyond relations with China and South Korea, which were inevitably strained by the territorial disputes and saw Japan again castigated for wartime atrocities, Tokyo had a strategically successful year. It improved ties with Vietnam and India (two potentially valuable buffers against Chinese hegemony); it maintained solid relations with the United States despite the Okinawa issue; and towards the end of 2012 it began exploratory normalisation talks with North Korea. In terms of procurement, Japan selected the Lockheed Martin F-35 to fulfil its F-X requirement and continued to quietly invest in capabilities that will help it to protect its offshore islands. Perhaps most telling in this regard was Tokyo’s decision to purchase four amphibious assault vehicles, which will probably be AAV-7A1s, and to practise beach landings with the US Marine Corps (USMC). In October Japan also revealed it would develop an unmanned aerial vehicle (UAV) fitted with an infrared (IR) sensor to cover a gap in its BMD system. The need was identified after its existing system, which comprises land-based early warning radars and Aegis-equipped destroyers fitted with the RIM-161 Standard Missile 3 (SM-3), failed to pick up North Korea’s failed satellite launch in April. Tokyo also continued to move slowly towards a first export of defence goods, with ShinMaywa Industries bidding to sell its US-2 amphibious, fixed-wing search-and-rescue aircraft to Indonesia as well as India, company officials revealed to IHS Jane’s in November. For the countries of Southeast Asia 2012 was dominated by the South China Sea territorial dispute, which threatened to open up real divisions in the Association of South East Asian Nations (ASEAN) between Chinese and US blocks. After years of partial estrangement, the Philippines is firmly back together with the United States. As well as materiel deals, Manila agreed to allow the US military to establish a semi-permanent forward base at Subic Bay, which until the early 1990s was Washington’s largest overseas naval installation. Spurred on by a balanced budget and a confrontation between Chinese and Philippine vessels at Scarborough Shoal in April, Philippine President Benigno Aquino embarked on a shopping spree that provisionally includes KAI T-50s from South Korea; frigates and naval helicopters from Italy; light attack helicopters from France; multipurpose assault craft; and M777 howitzers via the United States. A number of other countries opted for non-alignment, with Thailand and Indonesia the most notable proponents of this particular tactic. Bangkok made a number of major investments in 2012, ordering or receiving helicopters from the United States (Sikorsky UH-60M Black Hawks), Europe (Eurocopter EC725s and AS500 Fennecs, as well as AgustaWestland AW139s) and Russia (Mil Mi-17V5s). Thailand also announced a USD1 billion frigate acquisition plan, with Germany or South Korea the most likely provider, and approved THB1.5 billion (USD49 million) to develop a guided multiple rocket launcher, the DTi-1G, using Chinese technology. Indonesia also availed itself of Chinese and Western technology in 2012 (such as its attempts to procure Leopard 2 MBTs – see below), accepting a coastal surveillance radar system from Beijing only months after it had stood up a similar system provided by Washington. 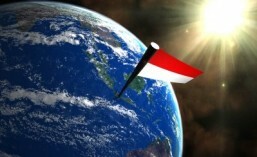 Jakarta’s bitter experience of Western arms embargos has been cited as a possible reason for this apparent duality, but analysts also point out that it makes sense for such as a strategically located country to keep its options open. Australia had another mixed year. Its strategic ties with the United States continued to warm with the announcement in January that USMC units would begin amphibious training in Darwin. This was followed in November by a visit to Canberra by US Defense Secretary Leon Panetta, who announced that US aviation assets would be making greater use of Australian bases along with the deployment of a C-band radar to monitor Asian satellite launches. However, on the equipment side Australia found 2012 tough going. The government is slashing defence spending by AUD5.4 billion (USD5.5 billion) over the next four years, with savings of nearly AUD1 billion being implemented in 2012-13 to help achieve a budget surplus. While the delivery of the new Canberra-class landing helicopter dock ships (LHDs) from Navantia in Spain appears on schedule and plans were made to convert some of the air force’s F/A-18 Super Hornets to the EA-18G Growler configuration, a number of projects remained riddled with issues. One example was the former UK Royal Fleet Auxiliary landing dock ship HMAS Choules , which was bought as a stopgap until Australia’s two Canberra-class LHDs enter service, but which will now be sidelined into 2013 with propulsion issues. A parliamentary report published in August castigated the Defence Department’s project management record, referring to a culture of non-compliance with policy and guidelines, confused or blurred lines of responsibility, little understanding or appreciation of the importance of contestability, and a mindset that “simply cannot, or refuses to, comprehend the meaning of ‘independent advice'”. James Hardy is the JDW Asia-Pacific Editor, based in London. Jon Hawkes, Alex Pape and Charles Hollosi are IHS Jane’s Analysts, also based in London. Despite the ongoing reduction in heavy armoured fleets around Western Europe, the Asia-Pacific showed itself to be a strong region for sales in 2012. The biggest spender by some margin was, as could be expected, China, with outlays of more than USD6 billion. Next was India, at USD3.1 billion, followed by a closer grouping of Japan, South Korea and Pakistan. Perhaps the biggest, or at least most regular, story of the year was Indonesia’s quest to obtain surplus Leopard 2 main battle tanks (MBTs) from either Germany or the Netherlands. Protests in Europe at Indonesia’s history of human rights abuses were exacerbated by regional concerns at Jakarta’s acquisition of such an effective combat system. Nevertheless, press announcements in late 2012 claimed that 106 vehicles, as well as 50 Marder 1A3 infantry fighting vehicles (IFVs), were procured from Germany, with initial deliveries from November or December. Their apparent arrival notwithstanding, questions remain about the suitability of heavy armour in Indonesia’s tropical, mountainous island environment, with extensive logistical support, including highly capable recovery vehicles, a necessity. Rumours of a possible sale of T-90S tanks to Malaysia circulated several times through the year, but this continues to seem unlikely given the young age of the country’s Bumar PT-91M fleet, although the latter is reported to have been badly received by Malaysian forces. Some armour projects are bearing fruit in the region, namely Japan’s TK-X ultra-light MBT programme, which saw an initial 13 vehicles enter service in January, and South Korea’s K2 MBT programme, which is set to declare an initial operating capability (IOC) with the vehicle next year. Also, China’s tank fleet continues to progress in quality and capability, with the ongoing production of the new ZTZ-99A2 MBT, featuring improved explosive reactive armour, a modified rear hull, a new commander’s sight and upgraded fire control and battle management systems. The vehicle also has an active protection system that is very similar to the Russian Arena hard-kill system. Although winners have emerged over the past 12 months for key fighter programmes in India and Japan, Asia remains a significant focus for manufacturers, with considerable business still available in the coming years. In January 2012 the Dassault Rafale was chosen as the preferred bidder for India’s MMRCA competition, while Japan selected the F-35A in late December 2011 for its F-X fighter requirement to replace the F-4EJ and a DSCA request for an initial four aircraft was issued on 30 April, with options for 38 more worth a total of USD10 billion. With these competitions now decided, attention is turning to the K-FX programme in South Korea for up to 60 aircraft with USD5.3 billion budgeted for airframes and engines. The contenders are the Lockheed Martin F-35, Boeing F-15SE Silent Eagle, and Eurofighter Typhoon. The selection timetable has slipped following issues with the documentation in the bids and political sensitivities over the timing of the presidential election, so a decision is expected in 2013. Following the emergence of the fifth-generation Chengdu J-20 combat aircraft in 2011, China again caused a stir by revealing the Shenyang Aircraft Corporation Project 310 Shen Fei in September, timed in the now-traditional way to coincide with a visit to China from the US secretary of defence. The prototype of the F-22/F-35 lookalike, dubbed the J-31, undertook its first flight in late October. These developments of advanced combat aircraft are having a major influence in procurement decisions by China’s potential adversaries in the region and were cited by Japan as a central reason for selecting the F-35, in spite of its cost and well-documented problems. Despite India’s involvement in development of the Sukhoi PAK-FA for its Fifth-Generation Fighter Aircraft programme and other joint projects and continuing large-scale purchases from its traditional military equipment supplier, Russia, the considerable success in India over the last 12 months among US aircraft manufacturers continued a trend of India diversifying its supply source following previous selections of the Lockheed Martin C-130J and Boeing C-17 for transport requirements and the Boeing P-8I maritime patrol aircraft. By the end of September it appeared that the AH-64D had won out over the Mi-28N in the Indian competition for 22 attack helicopters, valued at USD1.4 billion. In October the CH-47F emerged as the lowest bidder in India’s contest for 15 heavy lift helicopters, knocking out the Russian Mi-26T2. Should through-life service support for these US acquisitions run smoothly – something that has been a historical issue with Russian-sourced equipment – then further opportunities are available in the near term for naval anti-submarine warfare and light utility helicopter acquisitions. Competition will also come from European firms, putting further pressure on Russia in this once-guaranteed market, as indicated by the recent success of the Airbus A330 over the Iluyshin Il-78MK to supply India with six tanker transport aircraft. Over the last few years the Asia-Pacific region has been all about submarines, but this was not the case in 2012. There has certainly been submarine-related news over the last 12 months, including the contract between Indonesia and South Korea’s Daewoo Shipbuilding and Marine Engineering for three DSME 209 boats; construction milestones for Project 636 boats destined for Vietnam, and further shifts in the schedule for India’s Scorpene boats and follow-on project. Overall, however, there was simply a lot more happening above the waves, but watch this space: subs are likely to resume prime position in 2013. China hogged the naval headlines for much of the year. The Russian-built aircraft carrier Varyag , acquired in 2001 for ‘conversion into a floating casino’, was eventually commissioned in September after a mammoth reactivation, conversion and upgrade project (see graphic). Two more noteworthy developments concern the PLA Navy. First is the speed with which China’s new Type 056 corvettes are rolling off multiple production lines so soon after the design was revealed, seemingly against the established doctrine of experimenting a little and then stepping up production or modifying as required. This is unusual, unless the initial seven or more vessels are a drop in the ocean compared to what is to come in the next years. Also of interest are China’s anti-air warfare destroyer programmes, which are following the more conventional process, with four additional Type 052C vessels now entering service after an initial pair in 2004/05. The first vessel of a further modified Type 052D design was launched in August and is likely to be joined by additional vessels. The second major development involving China is the transfer of surplus assets to friendly nations: previously a strategy largely followed by Western navies. Meanwhile, affordable, new-construction patrol boats, corvettes and frigates made in China continue to make further inroads on the export market. Naval construction capabilities have continued to grow across the Asia-Pacific over the last year. New naval and coastguard-type vessels have been completed in Bangladesh, Indonesia, Pakistan, and Vietnam, most with overseas design assistance. Indonesia’s indigenous KCR-40 missile-armed patrol boat is to be followed by a larger KCR-60 variant, although both carry Chinese equipment. Indonesia and Malaysia are furthermore embarking on their most complex warship construction projects yet, with the former having selected Damen Schelde Naval Shipbuilding’s SIGMA corvette design for construction at local yard PT PAL and Malaysia opting for DCNS’ Gowind corvette design for construction at Boustead Shipyard. This entry was posted in Artikel Luar, Internasional, Nasional. Bookmark the permalink.